Established in 1995, Carine’s Merchandise started out by selling generic agricultural chemicals. Now, over twenty years later, we’ve grown to cater for all of your on-farm needs. With an ever-growing range of machinery and equipment, Carine’s is your first stop for everything from tillage and grain equipment to everyday farming machinery. 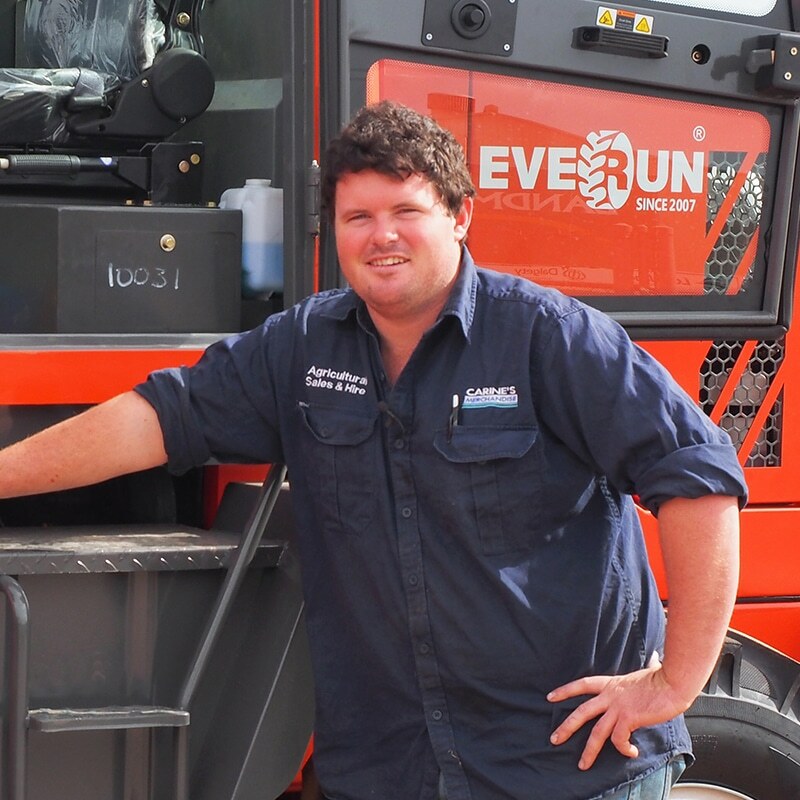 Our range now boasts quality brands from Eagle i Machinery, to Everun tractors and forklifts to Faresin Industries. This broad range of brands has allowed us to grow into a top name for farm related products for the Western Victoria community. We’re continuing to grow and expand our range to equip you for all of your on-farm needs. Carine’s Merchandise is made up by a team of experts; all knowledgeable and passionate about our products. It’s the people behind the Carine’s name that have built and established the company into one you can trust. This is why our staff have their own specialty areas – it guarantees they know the product they are selling inside and out. Get to know the team, and the brands they represent. Andrew Carine is the proud owner of Carine’s Merchandise. With over 20 years experience in ag chemicals, 15 in machinery beginning with Silobag followed by moving into other machines. With over 35 years business experience, Andrew is the only man for the job. When he’s not working he’s heavily involved in many community clubs. He’s been the past secretary of the Horsham Angling Club and Wimmera Anglers Association and holds the title of past president for the Horsham District Kindergarten Association and the Natimuk United Football Netball Club. Originally from Tongala Victoria, Jesse moved to Darwin at a young age where he worked on a Cattle station just east of Mataraka NT. 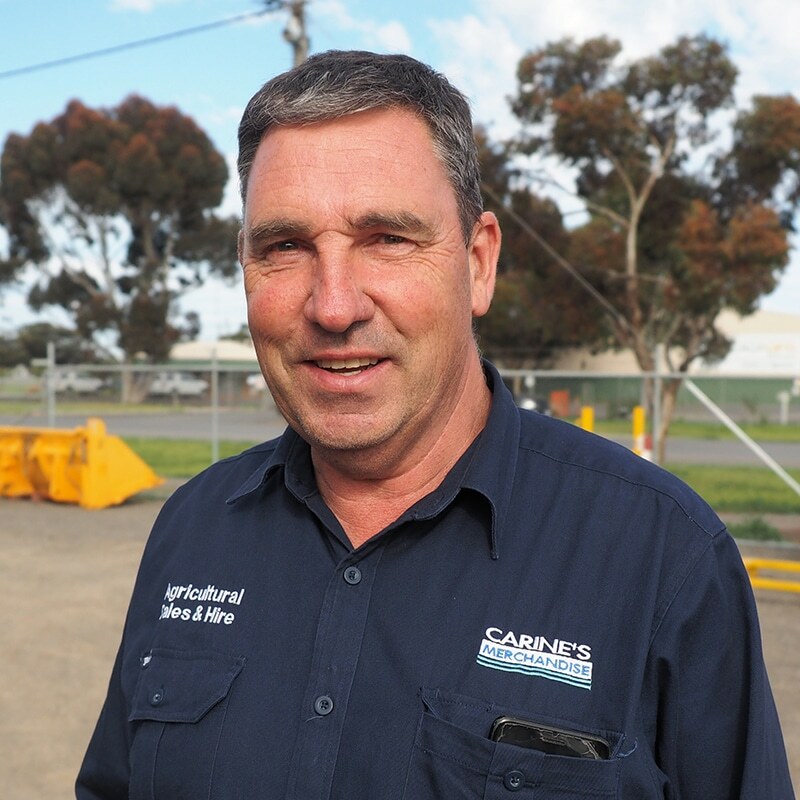 From there, he worked as a diesel mechanic in Alice Springs then Horsham, until he moved on to driving B Doubles and working at Carine’s Merchandise. In his down time, Jesse enjoys camping, 4x4ing and extreme long range shooting and reloading. He’s currently a member of the Natimuk rifle club and the Victorian Rifle Association and enjoys being a member of the local CFA Fire Brigade.